Posted on June 11, 2010 at 10:55 pm. Maleny Garden Club are having their annual Open Gardens and Camellia Show this weekend. We will have more camellias at this show than we have ever done before with many different varieties available. Come up to Maleny for the day – Maleny High School Hall. Posted on June 6, 2010 at 6:35 pm. Just seen the sasanqua listing that links to the photo – very nice indeed. Couldn’t have wanted it better. Great work! Posted on May 25, 2010 at 8:35 pm. The nursery will be open this weekend – 8.00am – 3.00pm. come and visit, walk the gardens. Plants will be available for sale – probably the largest number of varieties in Queensland. PS If you like this site, tell your neighbours, your friends and family, tell your garden club. Visitors are welcome on our open days. Posted on May 17, 2010 at 12:40 pm. Turner Park, Beerwah. 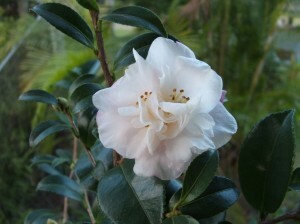 We will have camellias, vireya rhododendrons – more varieties than you will see in one place outside the nursery. Come in and see us there. Posted on May 17, 2010 at 12:12 am. We will be open to the public this weekend from 10am to 3pm. Plant listings are available on our website here. Come along to look or buy, remember we have all of our offered varieties throughout our extensive gardens so it’s perfect for getting inspired and seeing what might be possible in your own garden. Posted on May 10, 2010 at 12:37 pm. Toowoomba Gardenfest 2010 was fantastic – great weather and great plants, great stalls and great people. We had a great time. We had 90 different camellia varieties on offer.